For most, the camping season ends on Labor Day when even the chance of cool weather sends them hibernating in motels until spring. But I love fall, when the temperatures drop, the leaves turn color and the crowds at most state parks diminish. This is the perfect combination for some cold-weather camping. It's a thing whether you are in an RV, camper, tent or yurt. And it can be a great experience. But it requires thinking ahead to ensure you have fun and stay safe. Here are a few tips. 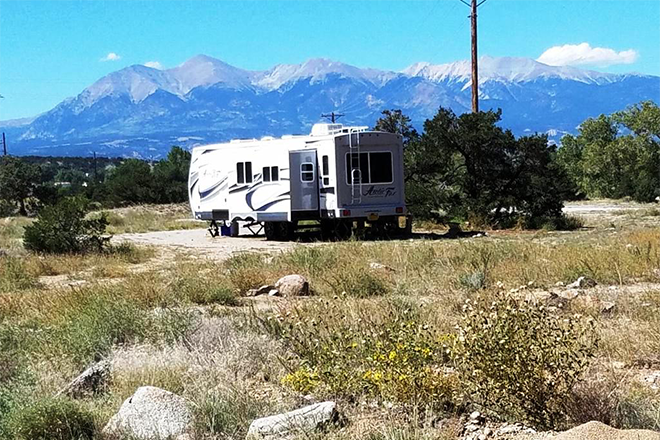 Camping in an RV isn't quite as easy as just pulling into a campground and picking out your space. True, most state parks keep sections of their campgrounds open year round, but the number of sites typically is reduced. It's a good idea to check availability and make reservations online before you arrive. On the mechanical side, check to make sure your RV is prepped for cold weather by changing hoses and flushing fluids appropriately. And please observe any restrictions the campground may have for the winter months. Some, for example, will not have showers available so you may need to pack personal hygiene wipes. Cheyenne Mountain, for example, asks that you hook up to the water, fill your tanks and then unhook from the faucet at your campsite. This prevents frozen and cracked pipes and faucets. Also, be understanding of park staff if the snow hits. Staff numbers are reduced in winter so response times will be longer. Park roads will get plowed, but probably at a slower process than you might see in the city. Another important tip is to carry extra food, water and other provisions in case you get stranded in a mountain park for a day or two longer than you planned. Tent camping is still popular in the winter but should not be done on impulse. The type of equipment you need is very different than summer tent camping and you will have more of it to carry. Many campgrounds will allow you to park your car near your tent but you may have to walk into a site or into the backcountry. 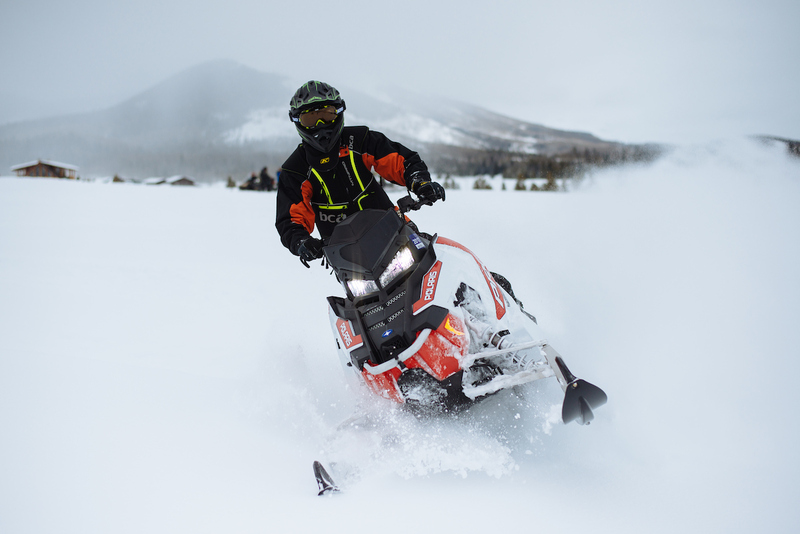 Consider bringing a gear sled to help carry the items necessary to make your snowy campsite is comfortable and safe. 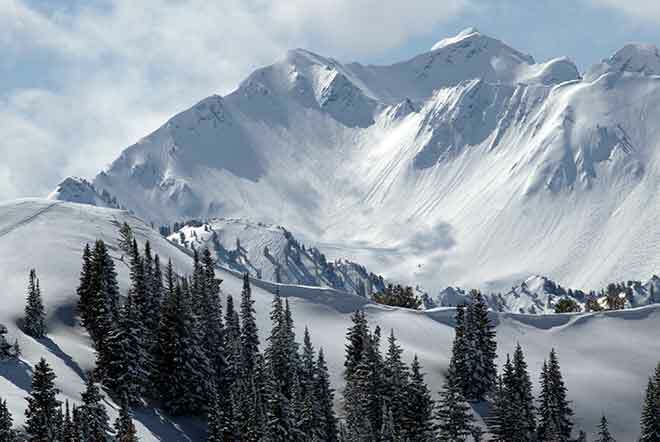 A four-season tent and cold temperature sleeping bag are imperative in winter. Campfires are not always possible unless you bring dry wood with you, so a cooking stove will be important. You burn more calories in cold temperatures and will work harder to make a campsite livable so bring extra food to satisfy the appetite you will generate. To cook that food, I recommend liquid fuel stoves instead of canister stoves in cold weather. And that brings me to my most important safety tip: Never use a stove to heat a tent. There are all sorts of solar-heated tents, dog crates and even electric-heated clothing. Avoid possible tragedy and only use stoves to cook. Hydrating is crucial, especially in the cold weather when the temperature can reduce your feeling of thirst. Your body needs fluids. Depending on the brand of water bottle you carry, storing them upside down overnight can prevent the threads from freezing. Bring extra batteries for lamps and flashlights as the daylight is shorter and the cold weather can affect the life of batteries. Lithium batteries handle the cold better than alkaline. Try to store them in a warm place to increase their life. I like to put a few in a wool sock and put them in the end of my sleeping bag. (At 5-foot-3, I have plenty of room at the bottom of my bag!) You can also put them in a stuff sack with your clothes in your tent. Using two sleeping pads will soften the impact of the cold ground. Bring extra socks and gloves in case they get wet. Sleeping in dry socks and a dry hat help fight the cold. I truly believe the motto of Colorado should be changed to "layers, always wear layers." As we know, Colorado often experiences all for seasons in one day. So clothing can be a challenge. It's normal to worry about hypothermia in the winter, but overheating can be just as dangerous. 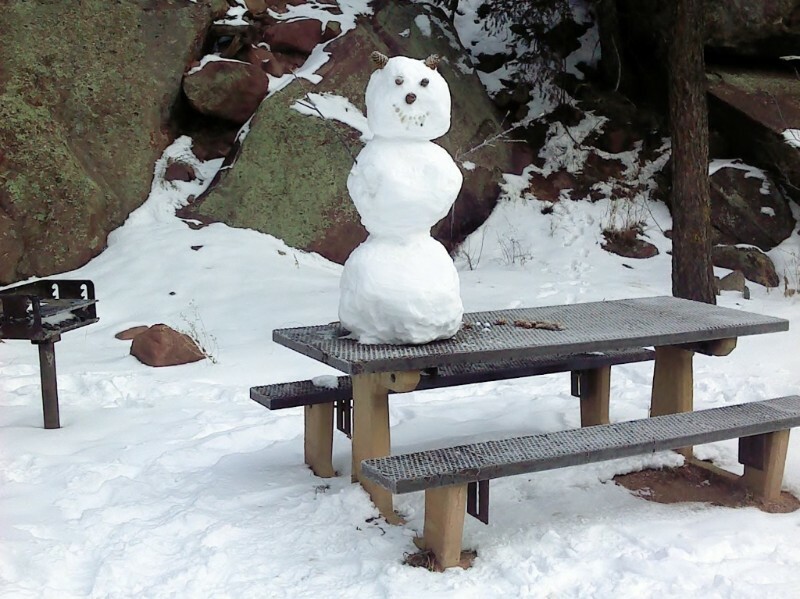 Remember, winter camping can be more strenuous. You are carrying more gear, perhaps walking farther from your car, maybe even shoveling snow. When you sweat and then cool down, you can go from too hot to too cold very quickly. Avoid wearing cotton next to your skin in the winter. And your top layer of clothes should be waterproof. When you feel like you are sweating, stop and remove a layer and when you start to shiver, add a layer. Where you place your tent should be well thought out. Winter winds can be brutal, so try to find a sheltered location. 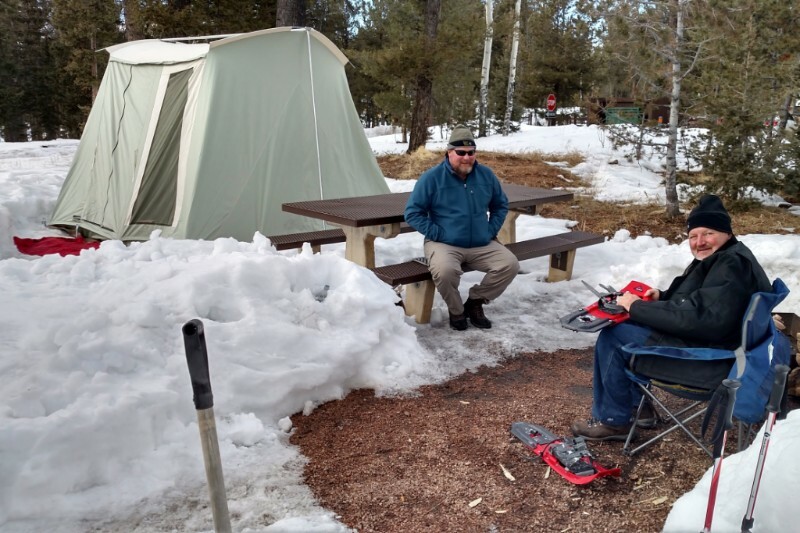 If you are camping in snow, only shovel an area the size of your tent. Pile up the snow evenly around the tent and let the show shield you from lighter winds. Do not camp under trees. Snow and ice can build up on branches and fall in large pieces. Or, worse, a branch could fall. All camping comes with its struggles and can be unpredictable, but a little planning can make camping fun in any season. The best part is that you often have the parks and trails to yourself for hiking or snowshoeing or birdwatching or stargazing. The worst part of winter camping? Having to use the bathroom in the middle of the night. Brrrr.